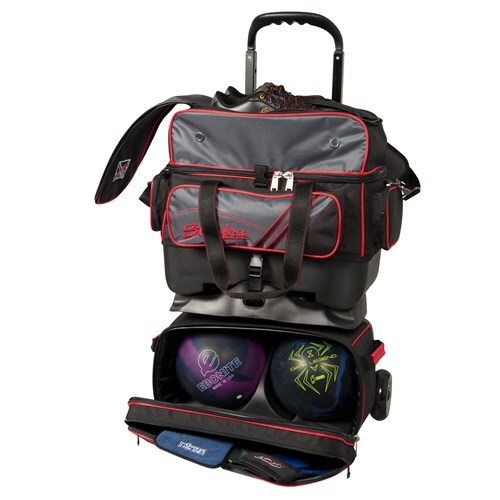 The KR Lane Rover 4 Ball Roller is one of the supreme KR bags. 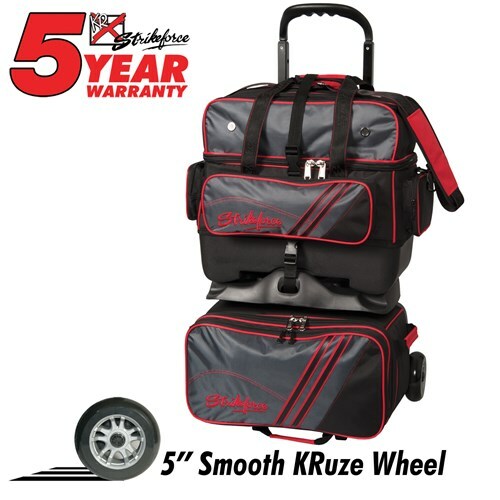 This bag has quiet, smooth glide wheels and many storage compartments. There are retaining straps which secure the bowling balls in place while traveling which gives you a peace of mind while traveling. Does the top remove and become a two ball tote? Yes, they can be separated for travel. Does the top part come a loose from the bottom section? It will completely detach from the bottom. Due to the time it takes to produce the KR Strikeforce Lane Rover (LR4) 4-Ball Roller Grey/Black/Red ball it will ship in immediately. We cannot ship this ball outside the United States.